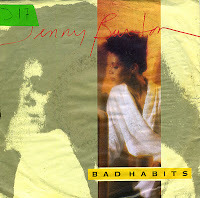 Jenny Burton was born on November 18, 1957 in New York. She was lead singer of the dance music band C-Bank. In 1983 Burton went solo, releasing the album 'In black and white'. She had her biggest success a year later with the release of her second self-titled album, featuring the hit single 'Bad habits'. This single reached number 68 in the UK Singles chart in March 1985.